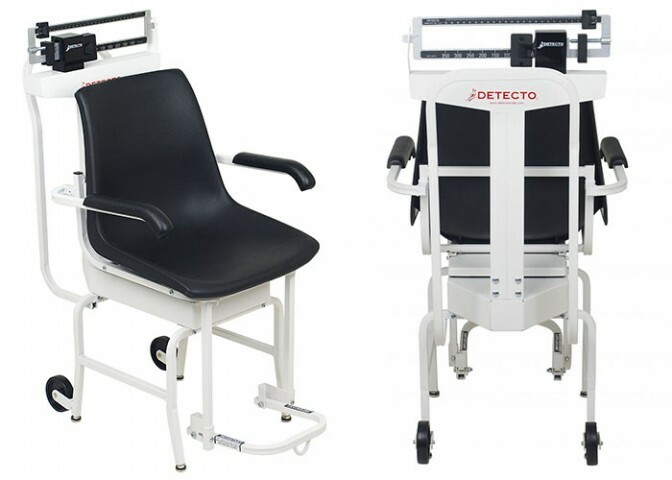 Footrest lifts out of the way for safe seating and convenient transport of scale while the lift-away arms allow patients side or front access. Oversized wheels facilitate movement of scale. Complete with heavy-duty understructure, these scales come fully assembled and ready to use. Black vinyl upholstery is complemented by the metal support structure.